Hyundai Motor India Foundation (HMIL), the philanthropic arm of Hyundai Motor India Ltd today announced the commencement of the 4th phase of ‘Safe Move- Road Safety Campaign’. ‘Safe Move’ is one of the key pillars of Hyundai Motor’s global CSR Campaign that actively advocates Road Safety for both drivers and pedestrians. As a responsible and caring brand, Hyundai strongly advocates road safety and importance of traffic rules and regulations. We are proud of our association with MORTH and the milestones achieved by Safe Move campaign over the years in making road safety awareness a mass movement in India. 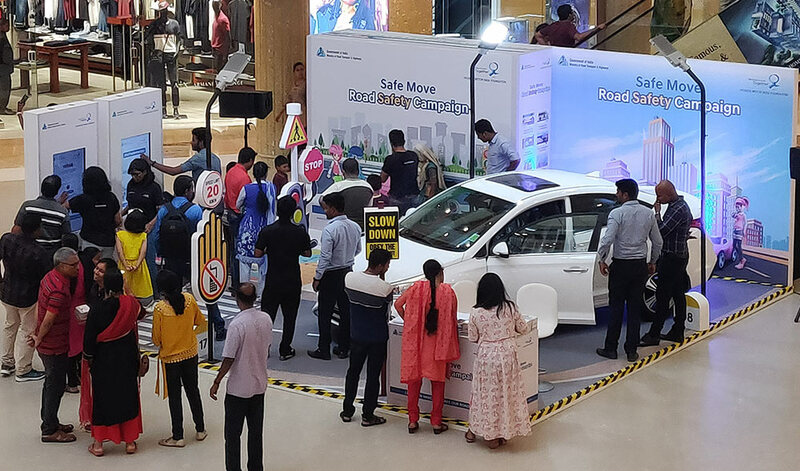 Through our School Contact Programs and Mall Activations, we are reaching out to young India and the future drivers of tomorrow to sensitize them and make them more aware about the safety of themselves and fellow drivers and pedestrians on roads. We are confident that Safe Move campaign will help instill more discipline and support a new culture of road safety for both drivers and pedestrians on Indian roads. In the 4th Phase of Safe Move, Hyundai introduced ‘ARI and JINO’ – two animated characters from a popular International Animated Series – ‘Power Battle Watchcars’ to engage kids and their families which will help them understand, absorb and act on responsible road safety rules. To appreciate the participation from students, Hyundai will give away Certificate of participation and also supporting the environment, an air purifying plant – Aloe Vera is given to all students encouraging them towards a green and healthy future. Over last three phases of the program, Hyundai Motor India Foundation has successfully reached out to 200,000 students across 292 schools, about 35,000 Mall visitors and 23,000 Residents. The program enrolled 146 RWA’s and also reached out to 35,000 visitors during the popular Krakerjack Karnival in New Delhi.